The Oregon Multimedia Project will combine performance of new works for violin and piano with photographs of the Oregon landscapes that inspired the compositions, at Beall Hall on the UO campus on Tuesday evening, October 27th. The composers are recent UO graduates Benjamin Krause and J.M. Gerraughty, whose works will be performed by Wyatt True on violin and David Servias on piano. In addition, a violin sonata by Alex LaFollet will be performed without photography. 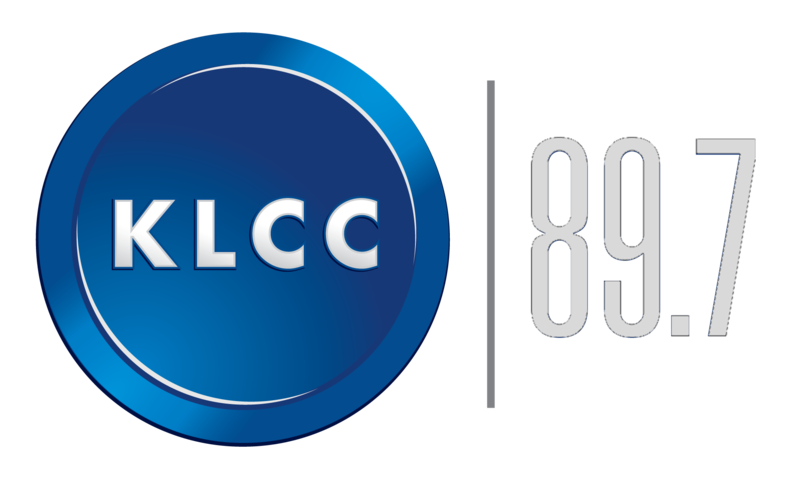 Wyatt True joins Eric Alan in the KLCC studios. Interview with Wyatt True, including music from the Oregon Multimedia Project. 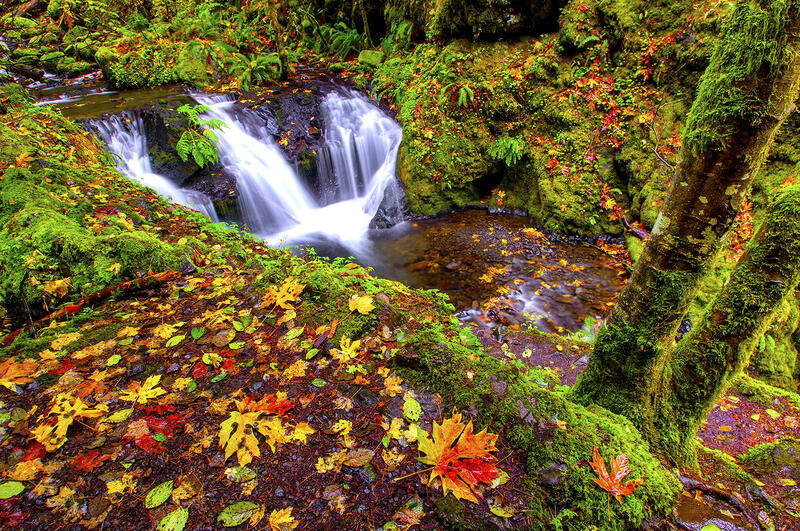 Emerald Falls, Oregon, as photographed by Charles Knowles, to be shown during "The Air is a Chamber" by J.M. Gerraughty. Violinist Bella Hristova visits the KLCC studios to perform a solo piece from her native Bulgaria, and to talk about her performance on Saturday, October 3rd with the Oregon Mozart Players, where she will be the featured soloist on Mozart’s “Violin Concerto No. 4 in D Major.” She has achieved international stardom before the age of thirty. Renowned double bassist DaXun Zhang and Kelly Kuo, artistic director of the Oregon Mozart Players, join Eric Alan to discuss their season-opening performances this weekend. Zhang is one of a family of eight bass players in China; he has performed extensively with YoYo Ma and others.